Praça dos Restauradores is a square in the central Baixa region of Lisbon. Around the square are a number of the city's most iconic buildings, including the Italianate pink façade of the Palácio Foz and the Teatro Eden and Condes Cinema buildings, both fine examples of Art Deco architectural style. At the centre of the plaza towers a 30-metre-high white obelisk, built to commemorate Portugal’s fight to regain independence in the 17th century after 60 years of Habsburg rule. The square makes a good place to start a walking tour of the city, with the tree-lined Avenida da Liberdade leading out from its north-western end. The majestic obelisk of the Monumento dos Restauradores stands proudly on an attractive mosaic-paved area in the centre of the square. 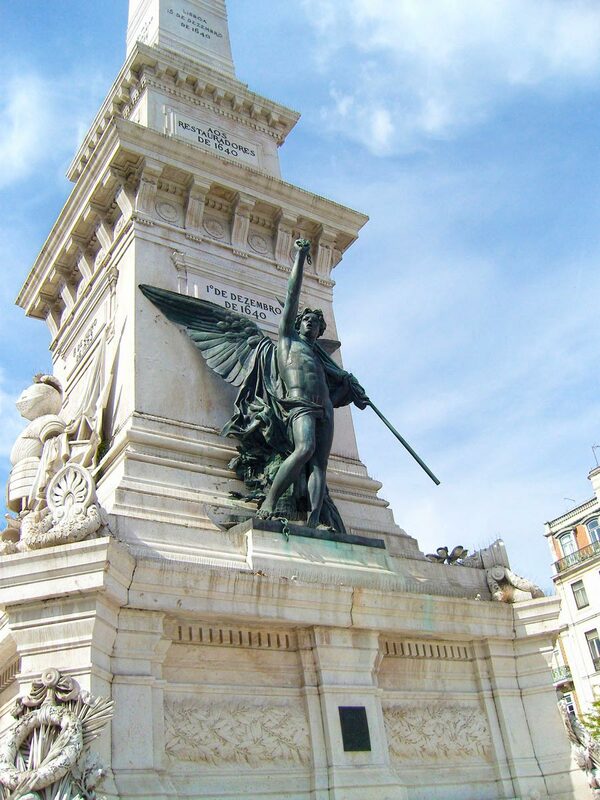 Inaugurated in 1886, it features two bronze statues, symbolizing "victory" and "independence" as well as plaques commemorating those who fell in the main battles of the Portuguese War of Restoration. On entering the plaza, the visitor’s eye will be drawn to the baroque façade of the Palácio Foz. This delightful confection of cream and pale pink was built in the second half of the 18th century and later re-modelled in the Italian style. The ornate interior is not always open to the public, although a variety of tours, concerts and other events are organized here at various times of the year, giving lucky visitors a chance to admire the Hall of Mirrors, marble arches and intricately painted ceilings of the palace. A small section of the building houses a tourist information centre. 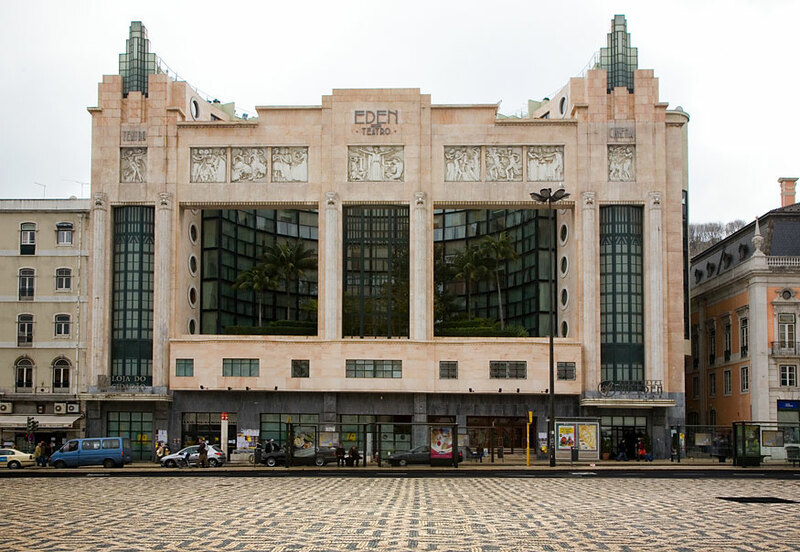 The Teatro Eden building is a classic example of Art Deco at its best. Opened as a theatre and cinema for silent films in 1931, the theatre was a popular venue, but after it closed in 1989 it fell into disrepair. The building has since been restored and is now an apartment hotel whose terrace offers stunning views of the city skyline. Another notable building in the plaza is the terracotta-coloured Condes Cinema, which now houses a branch of the Hard Rock Café. Little of the original interior remains, but the Art Deco exterior is a thing of beauty. Next to the Palácio Foz, immediately opposite the Condes Cinema is the Elevador da Glória, the most celebrated of Lisbon’s three funiculars. 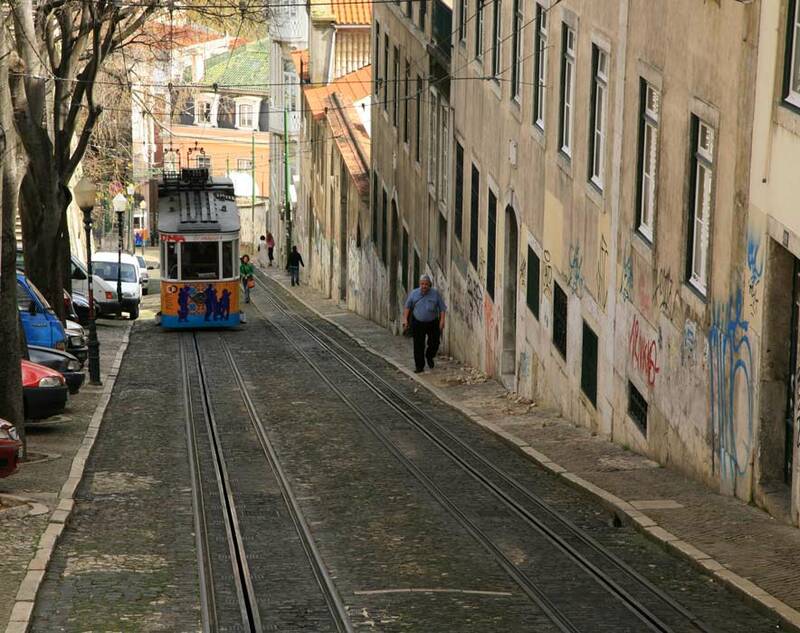 The iconic yellow cars have been transporting passengers up the hill linking Praca dos Restauradores to the Bairro Alto since 1885. It’s only a two-minute ride, but provides an unforgettable experience and saves weary legs the steep climb.